Organize your notes in a way that works best for you. 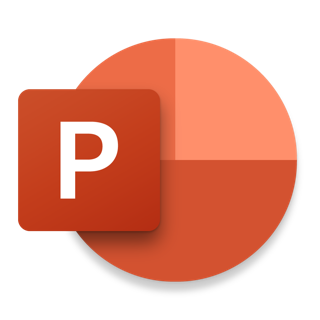 Create, rename, search, sort, and copy pages, sections, and notebooks. Find your most recent notes quickly and pin the pages you use most. Secure your notes with a password and use touch ID to quickly access them. Access your notes on your Mac, iPhone, iPad and other devices. Your notes are synced to the cloud (OneDrive, OneDrive for Business, and SharePoint) making it easy to access your recipe notes on your iPhone at the store, your homework on your Mac in class, or your itinerary on your iPad during your travels. Achieve more with OneNote. Create to-dos to keep track of your daily errands, groceries shopping, or travel planning. Scribble your notes at a conference, write math equations in class or sketch your ideas. With a variety of pen colors and settings, you can create beautiful handwritten notes and drawings. Draw with confidence with "Convert to Shapes" mode: OneNote will automatically convert hand drawn shapes into crisp, perfectly regular polygons and circles. OneNote is free on iPhone and many other devices. Get started today! Download OneNote and sign in with your Microsoft Account or the account assigned to you by your work or school. * Support for Apple Pencil (2nd Generation): Draw, handwrite, and mark up notes even faster by double-tapping your Apple Pencil to change drawing tools without interrupting your flow. I like the sync between phone and PC plus general layout and way of breaking down notebooks (prefer the desktop application when working on PC). On the iPhone app snapping a photo of a document direct into OneNote is very handy. However I really, really want a way to lock the position of containers relative to each other as currently things can so easily get accidentally moved around and that leaves me nervous and takes away any benefit to making notes over the top of something else like a screen shot, diagram or picture. Also would like to see text and table formatting improved so they get closer to simplified versions of Word and Excel. For example it is a bit slow to Embed Excel docs but the OneNote table features are just a bit too clunky compared even to a very basic spreadsheet so I find too often I end up wanting to go back to Excel for things that naturally would live with notes. 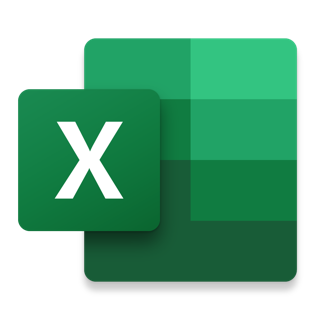 Not for massive spreadsheets or complex calculations but with data entry and editing that more closely matches Excel when used for making lists and comparison tables. This is a very nice app, full of useful features and well integrated with the cloud. I’ve noticed 3 things so far that could do with improving. First and most importantly, you cannot select text using 3D Touch. When I press in, i can move the cursor but if I press in again, it just jumps back to typing mode without selecting anything. This makes selecting quite tedious compared with other apps and needs to be fixed asap. Another thing is, while I like the text box layout of OneNote because it lets you put text wherever you want, it glitches out when you try to move bigger boxes around. It’s also quite fiddly to select a box to move it. Also, it can be a bit annoying when you have several boxes one below another and as you type the text, the box expands and the text starts to overlap with the text box below. It might be nice to have an option to shift the boxes as you type. I understand it might be tricky, in terms of logic, to find the balance between arranging the boxes and having them move automatically but I hope the devs can find a way. Overall I’m enjoying the app it’s immensely useful for my purposes. My only complaints are that you can’t add more than One personal account at a time and that if you log out on your device not only are all of the notes still left available which is a huge security risk but also if you were to delete said notes then they be deleted properly and would not necessarily be recoverable. Also not all deleted notes can be found in the section for deleted notes and also some remain despite being cleared previously or being older than the 60 says OneNote claims to keep them for before proper deletion. 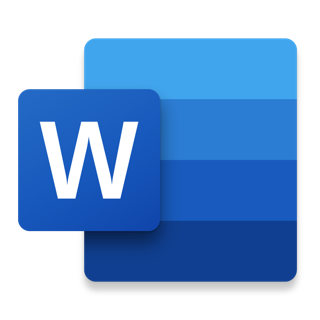 Also there are some issues with the copy and paste feature, it feels clunky and when copying you can accidentally move a chunk of text to another part of the document. But apart from those issues which are relatively minor annoyance the app is top notch and does exactly what I want it to do.